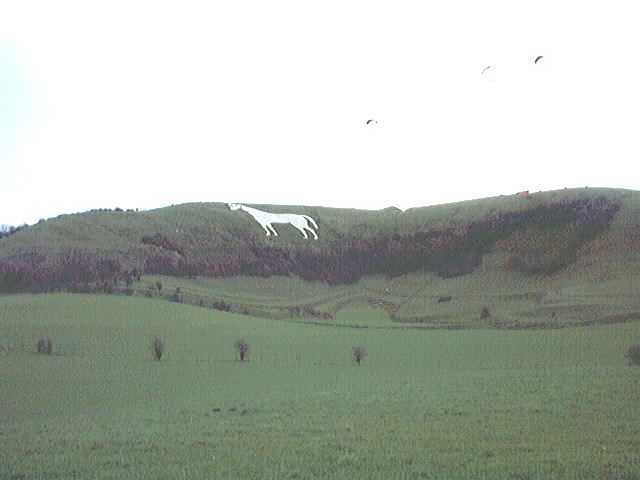 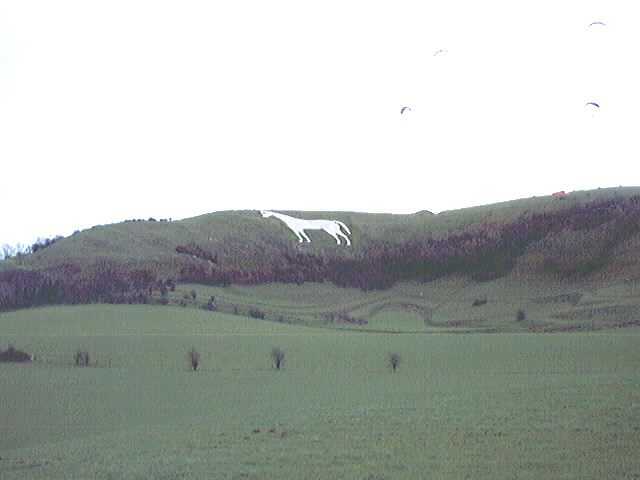 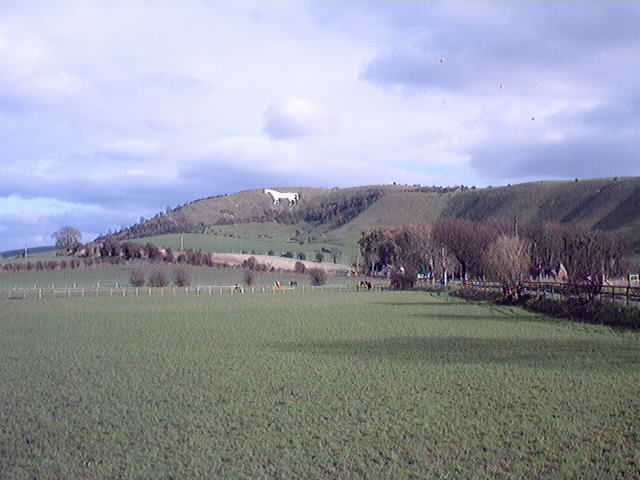 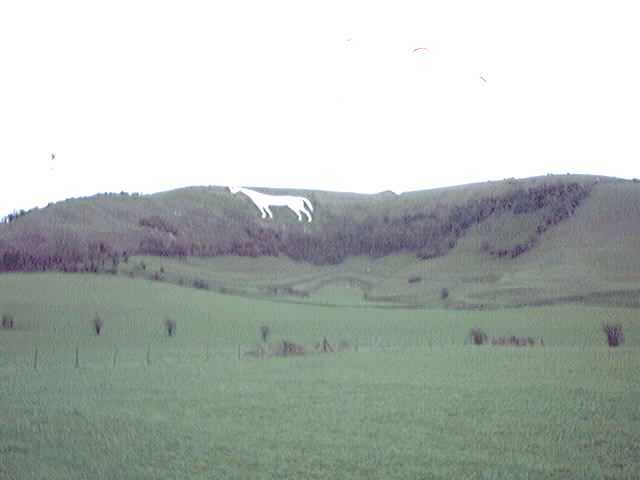 Westbury White Horse, as we see it now, dates from 1778, when it was re-cut in its present form. 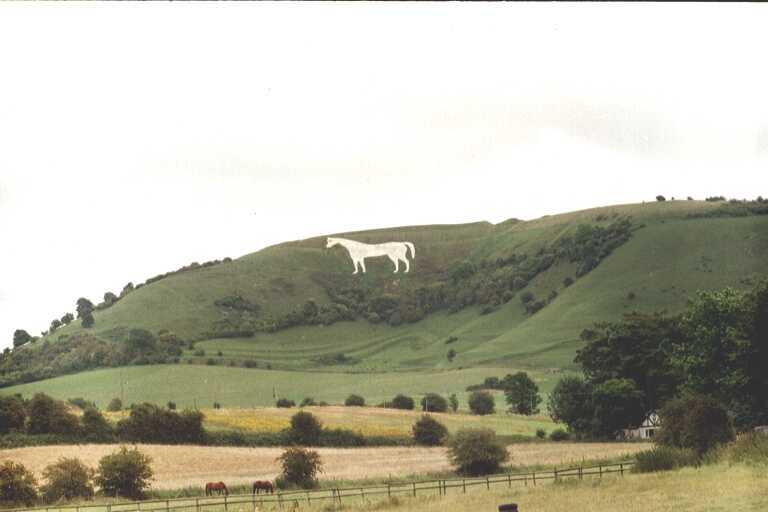 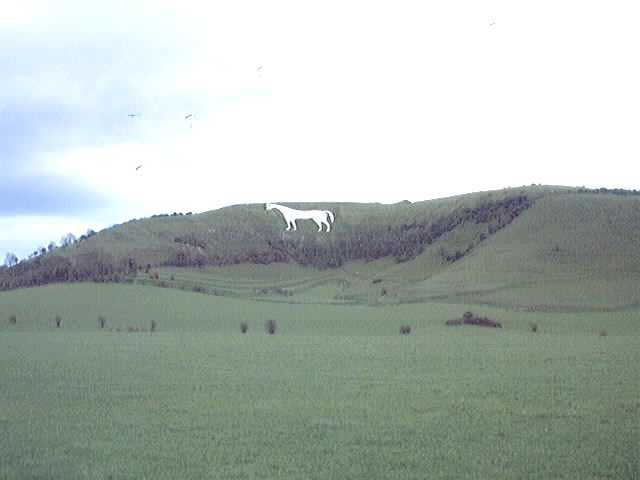 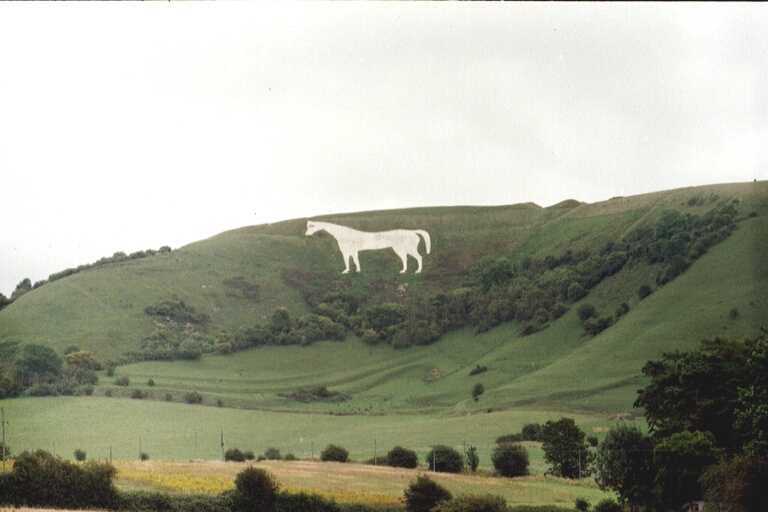 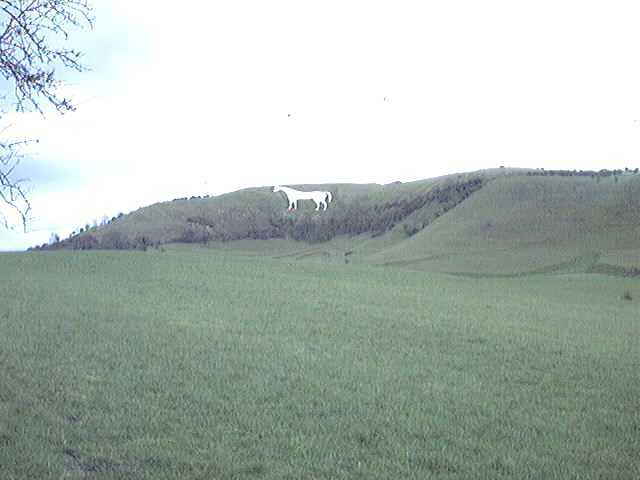 However, it is said that there was a much older white horse on the site, which supposedly dated from around the same time as the hill-fort which it adjoins... similar to Uffington White Horse, probably originally cut in the hillside in the first century BC. 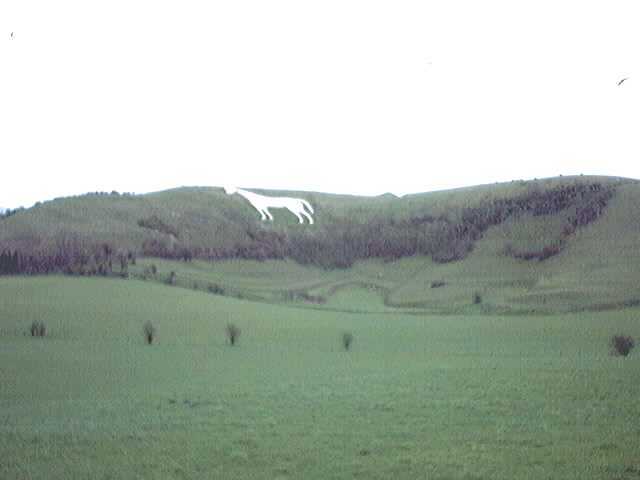 Some observers claim that, given the right conditions of lighting and vegetation growth, the older horse can still be seen, very faintly, immediately behind the present figure... but I've seen Westbury White Horse in different lighting conditions and in different seasons, over the last 25 years or so, and I've never been able to see any sign of the older horse. 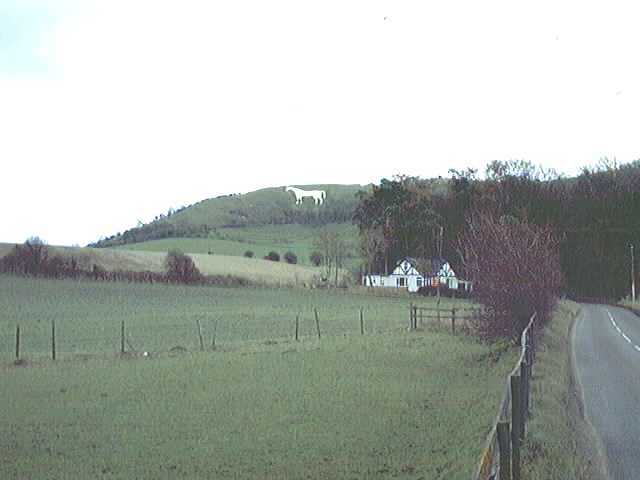 Bratton Castle is a (probably) Iron Age hill-fort on the top of the hill above the white horse, enclosing about 23 acres within two banks and ditches. 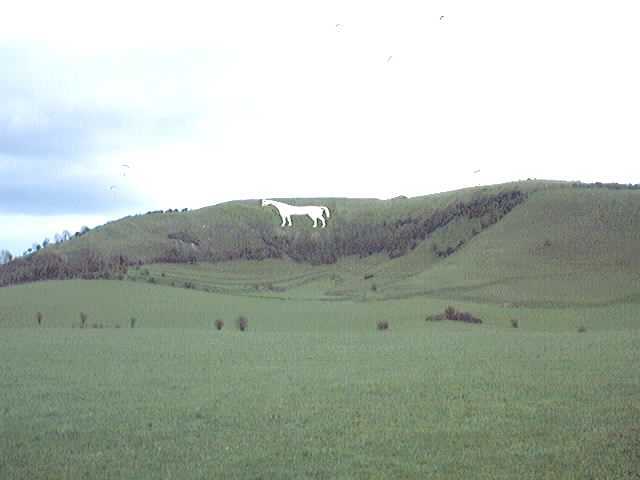 Interestingly, near the centre of the hill-fort is a Neolithic barrow, 230 feet long and 12 feet high, orientated east - west. 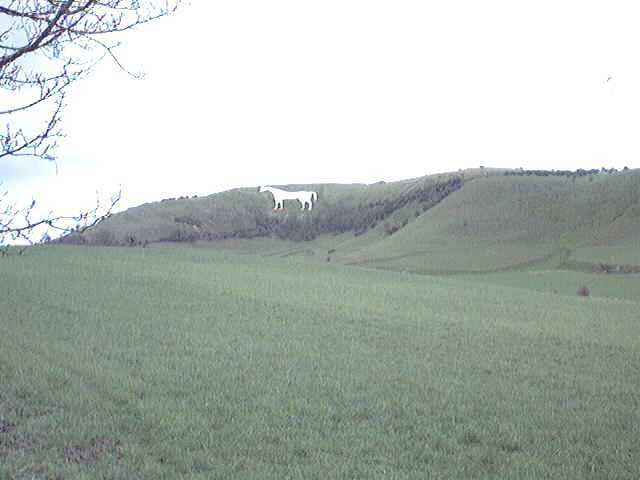 Its side ditches are now silted up and hollows in the mound indicate 19th century excavations. 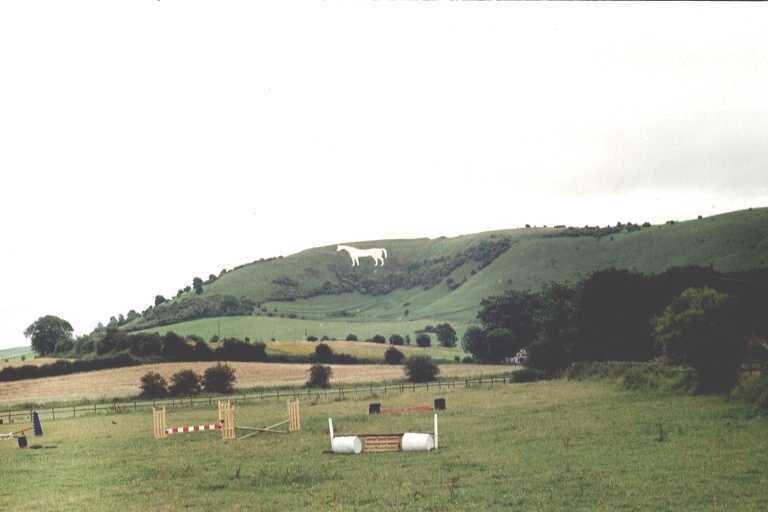 Only two adults appear to have been buried in this large barrow, which is believed to date from about 4000 BC. 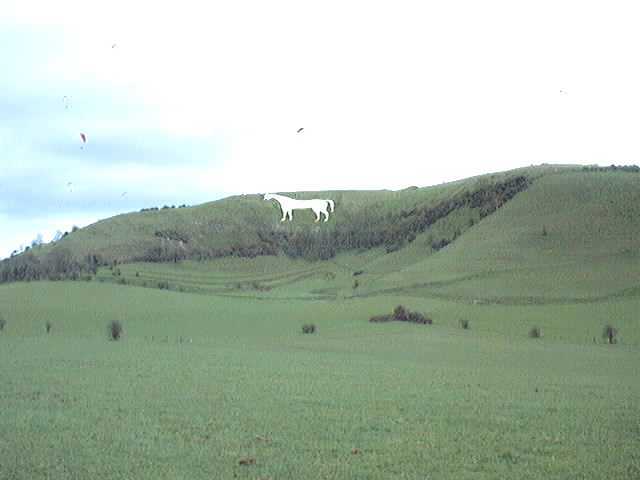 You might also like to look at my photos of Bratton Castle.